In 2006, a UK translation agency outsourced a highly technical project to us; since that time we have been translating it from English into Russian on a regular basis. 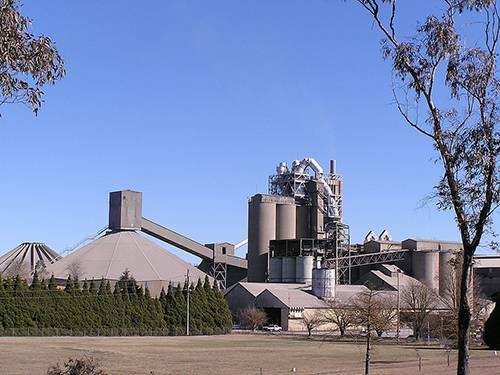 The end client of the agency is the leading supplier of equipment and services to the global cement and minerals industries, covering everything from individual machines to complete processing facilities. The project included parts lists, manuals, safety data sheets and other technical documentation as well as legal and marketing materials. The end client is a large company which operates in many countries with highly technical products. With more than 20 jobs per day over the course of more than 10 years, the client was looking for a cost-effective solution, top quality and high capacity. The UK agency chose Translators Family as their dedicated supplier for English into Russian translations. We proved that we ensure quality, speed and affordable prices. With our extensive pool of Russian translators and our specialisation in English into Russian technical translations, we are able to take on large and urgent projects of any level of complexity. Over the course of our years of work on the project, we have gained dedicated translators and proofreaders who are always ready to accept new jobs as they come in. Our linguists are familiar with the customer’s terminology and style, allowing us to provide consistent, accurate translations. Using CAT tools, we are able to offer up to 80% discounts for repetitive texts. Since the project involves a large amount of technical documentation which is regularly updated, the costs of the project were quite affordable. In addition, the CAT tools (which store past translations in their translation memory) allow us to maintain consistency of terminology and style throughout the whole project. The legal and marketing part of the project requires a different approach and specific expertise. Selecting the appropriate linguists for the team, we assign the right translators to every part of the project. Technical translators work on technical documentation, while legal or marketing translators work on legal or marketing sections respectively. The proofreader makes sure all content is consistent and correct. In 2016, Translators Family started a direct cooperation with CTS Cement Manufacturing Corporation, the largest manufacturer of specialty fast-setting cement and shrinkage-compensating cement in the United States. The project involves English into Russian translation of a number of safety data sheets and other technical documents. Our translators, who had obtained a rather rich experience in cement translations from the project described above, were exactly the right professionals to take on this new challenge. Now, with more than 10 million words translated for cement corporations, we can proudly say that we are the experts in translation for the cement industry.